As we mark the 5th anniversary of Syria’s Uprising this week, we remember that the burst of civil disobedience that took place in Syria was part of a region-wide spirit that took place all around the Arab world. One of the countries who received the least coverage was the small gulf nation of Bahrain. Even less attention was given to the women who led many of the movements against state repression. 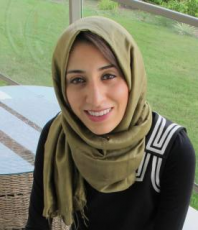 As KPFA spotlight the often marginalized work of women during this years women’s history month, Arabiyaat presents you with this special episode featuring a Ala’a Shehabi.